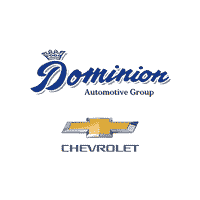 No matter which Chevy SUV suits you best, you can find it at Dominion Chevrolet! From the popular Chevy Equinox to the family-friendly Chevy Traverse, there’s a Chevy crossover for everyone. Explore our online inventory before visiting our dealership near Saint Joseph to take a test drive at your leisure! Which Chevy Crossover SUV is Right for Me? Chevy Trax: Choose this compact crossover that’s perfect for city drives, and you can access up to 25 mpg city/31 mpg highway, 48.4 cubic feet of max cargo space, smartphone integration, and available all-wheel drive. Chevy Equinox: When you choose the Chevy Equinox small SUV, you can take advantage of 3,500 pounds of towing capacity 63.9 cubic feet of max cargo space, and safety features that earned a 5-star NHTSA overall safety rating. Chevy Blazer: The all-new Blazer is a sporty SUV that offers 22 mpg city/27 mpg highway, 64.2 cubic feet of max cargo space, up to 4,500 pounds of towing capacity, and a standard 8-inch diagonal touchscreen. Chevy Traverse: Pick the Chevy Traverse midsize SUV for features like 98.2 cubic feet of max cargo space, comfortable seating for up to eight passengers, and up to 14 available advanced safety features that contribute to its 5-star NHTSA overall safety rating. Chevy Tahoe: When you go for the Chevy Tahoe full-size SUV, you can expect an incredibly spacious 95.7 cubic feet of max cargo space, an available 420-hp 6.2L V8 engine, and available 4G LTE Wi-Fi. Chevy Suburban: Lastly, the large Suburban SUV provides a cavernous 121.7 cubic feet of max cargo space, up to 14 charge points for all your devices, seating for up to nine passengers, and available 4G LTE Wi-Fi. Regardless of what model you need, you can rely on us to help you find the one that works best for you! And when you choose your new Chevy SUV, our finance team will help you get the best possible lease or loan rate. When you’re ready to visit us near Michigan City, contact us for a test drive!